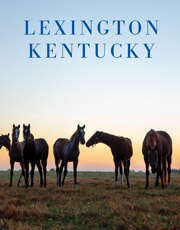 Suggested Lexington, KY Itineraries: Plan a Guys' Vacation. Three day, two night suggested itinerary. Take Friday off! 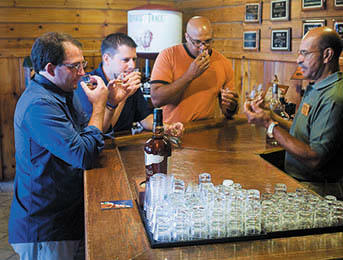 This "mancation" includes options for evening entertainment. What&apos;s a guys&apos; weekend in Lexington without a peek at historic Rupp Arena? A special viewing window at Lexington Center is accessible till 5:30 p.m. (859) 233-4567. Take a tour of the first Bourbon distillery built in Lexington in over 100 years, Town Branch, just steps away from the arena. Nearby Nick Ryan&apos;s is a good choice for dinner. Walk across the street after dinner to the Grey Goose (859) 333-1500. If the weather&apos;s nice, the real party will be out back on the patio. Enjoy golf at one, or more, of our many courses. The Griffin Gate Marriott Golf Club was designed by Rees Jones and was named a top 75 U.S. resort course by Golf Digest magazine. Kearney Hill Links was designed by Pete Dye. Head back downtown to Lexington&apos;s gastro pub, the Village Idiot (859) 252-0099. From there, you are close to tons of great bar hopping options: The Ruddy Duck (formerly known as Cheapside Bar & Grill), Parlay Social (859) 244-1932, Belle&apos;s Cocktail House (859) 389-6777, the Henry Clay Public House (859) 368-7754, to name just a few. If you like discovering locally crafted beers, check out West 6th Brewing Company (859) 951-6006, Country Boy Brewing (859) 554-6200 or Blue Stallion (877) 928-2337. Get out to Keeneland Race Course before 11:30 a.m. and treat yourself to a huge Southern breakfast at the Track Kitchen. The grounds of Keeneland are always open for you to explore. You might get to chat with a trainer. 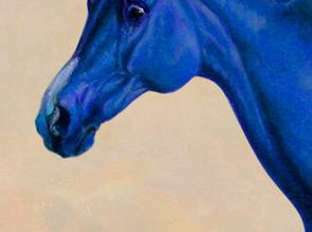 In April and October, live Thoroughbred racing starts around 1:00 p.m. If you are not here during a race meet, check out another nearby bourbon distillery in the afternoon: Buffalo Trace (502) 696-5926, Woodford Reserve (859) 879-1812, Four Roses (502) 839-3436 and Wild Turkey (502) 839-4544 are all within a half hour&apos;s drive.